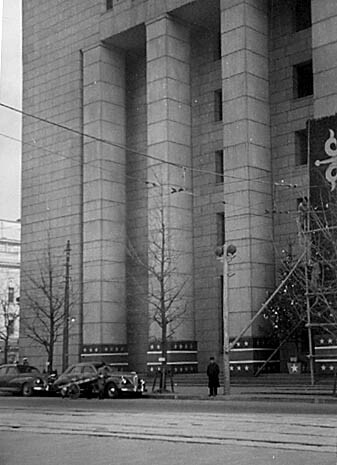 All photos were taken 1943 - 1945 by (or of) Ray R. Schumacher. 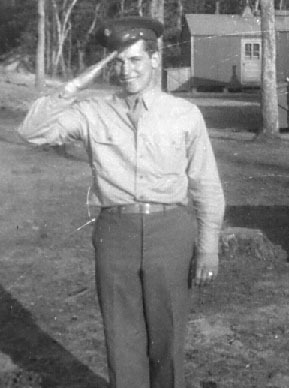 Raymond R. Schumacher was first inducted February 17, 1943 and went off to basic training in North Carolina, where his bunkmate was Charles Clark. He met guys named Wally Kokockis (Cicero Kid), Sgt. 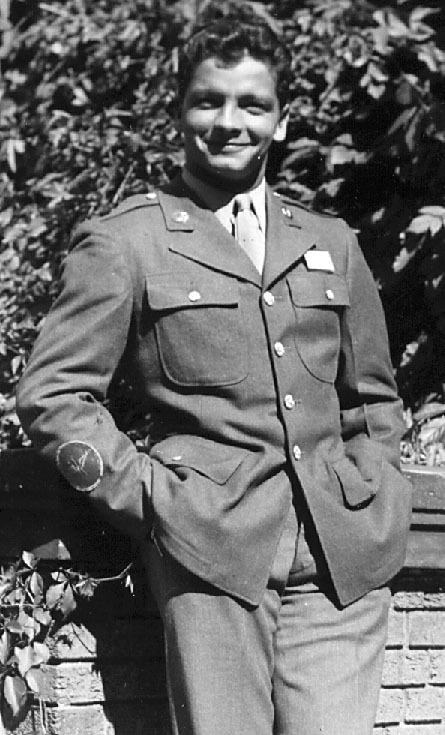 Nelphi, Sgt. (Porky) Thorton, Charles Clark, Jack Sather from Berkeley CA, Jimmie Spallus from Wisconsin, and Ray Shaw (amoung others). 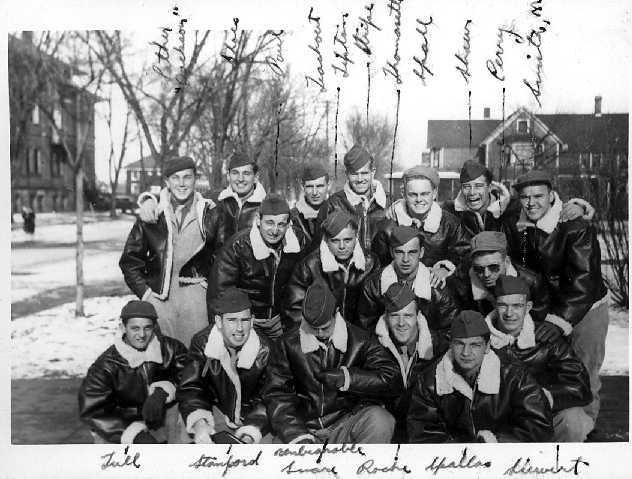 They then went on to Janesville Wisconsin for flight training. 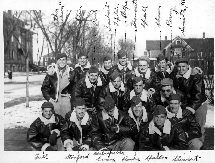 A section of trainees near Janesville, Wisconson. Apparently most of squadron "C" of the 97th college training detachment. Another photo, members of the "H.P. CLub". News clipping about a canteen dance, many names mentioned. 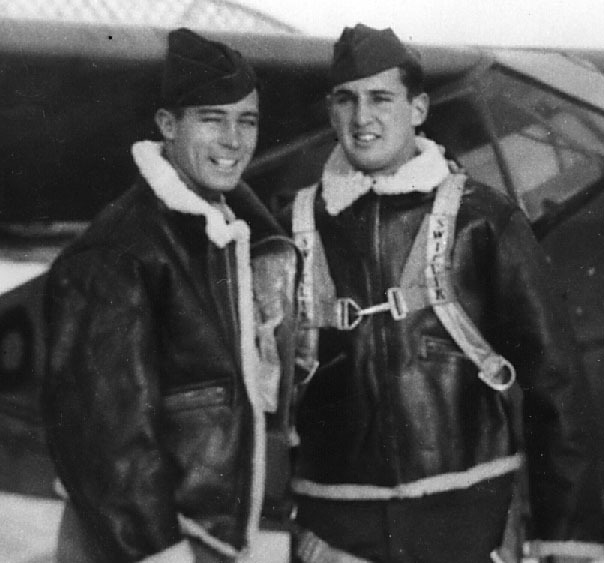 Shaw and Schumacher during flight training. 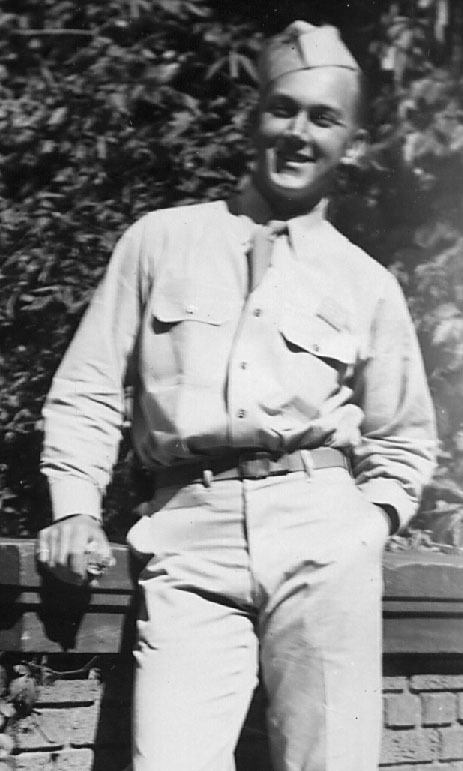 R. Schumacher went to Hondo, Texas for navigator training and was and instructor for a while afterwards. 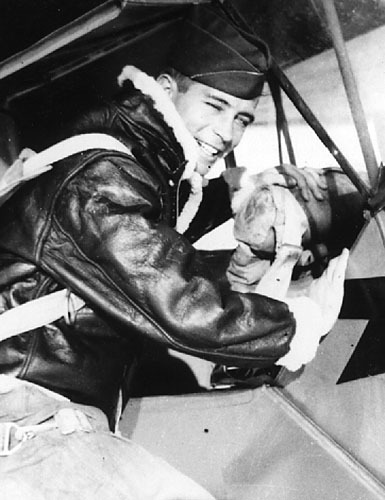 Then to Miami, then to McDill base in Tampa about 7/43. 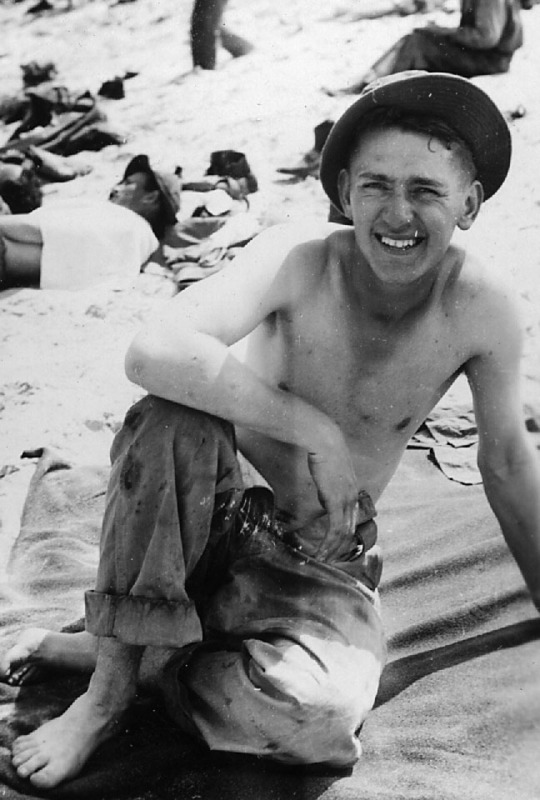 Then Lincoln, Nebraska where he trained navigators until mid-1945, and finally Victorville, Ca. before flying to Tinian. Apparently his plane had a picture of a lady on it with a name, but is unknown for now. 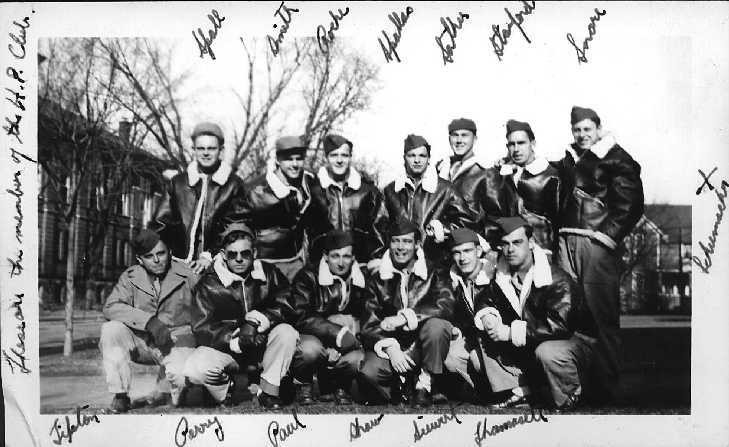 He may have been in a small group of B-29s which escorted one of the atomic bombers to Japan, flew in the formation over the treaty signing on the Missouri, and finally was stationed in Tokyo until at least January 1946, and officially released March 17, 1946. 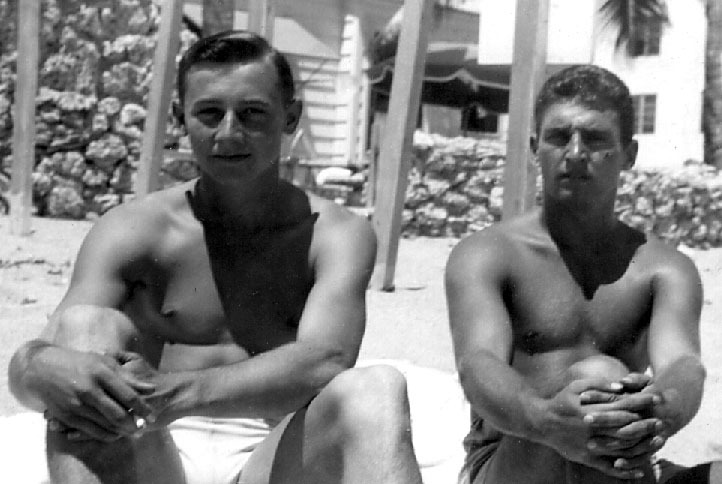 M. Dale Williams of Ashland, Oregon and R. Schumacher, possibly in Tampa, Florida. 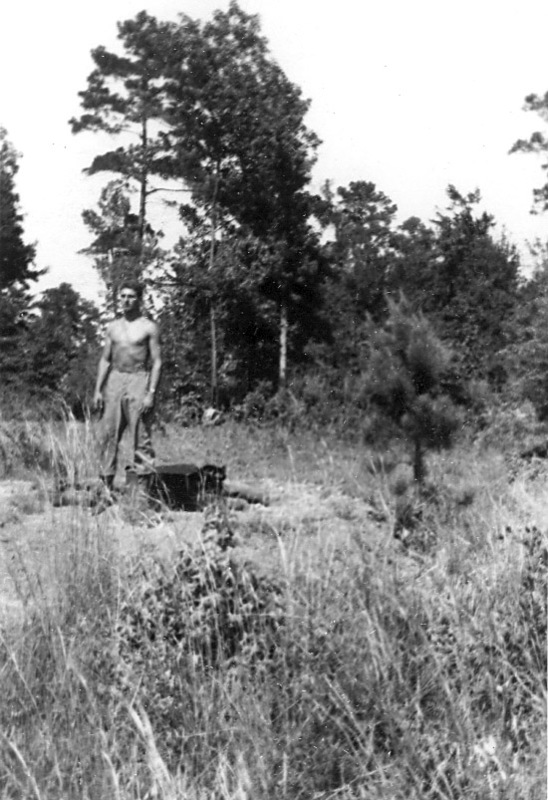 Photo taken by Cooney, Sept. 9 '43. 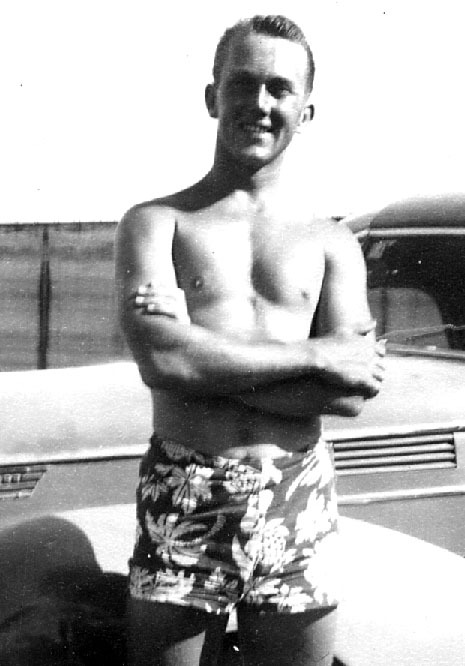 Jack "Jackson" Sather, a friend since meeting in Miami.